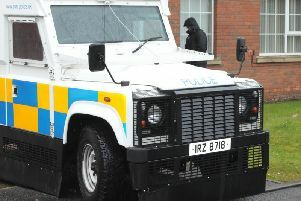 An arrest warrant was issued last Wednesday at Craigavon Magistrates Court after a 36-year-old woman was convicted in her absence of an intimidation charge. Elizabeth Henry, Victoria Street, Lurgan, is accused of intimidating a witness on October 19 last year. The court heard the injured party alleged she was approached by the defendant at Millennium Way in Lurgan. She claimed Henry told her not to attend court. When interviewed by police the defendant confirmed meeting the injured party but denied making any statement about a court case. District Judge, Mrs Bernie Kelly, convicted Henry in her absence. She issued an arrest warrant to have her brought before the court for sentencing.